There are number of directors lined up for the movie which will be finalized soon. Directors like Boyapati Srinu, Krishna Vamsi, Singeetham Srinivas Rao, Krish Jagarlamudi and Anil Ravipudi narrated scripts to the actor but he has not finalized any of them and he will take a call after he listens to the final drafts. Krishna Vamsi has been the front runner for the project revealed sources. Balakrishan tested his luck with Dictator early this year during Sankranthi and the movie ended up as a decent hit all over. Talented director Sriwass directed the film and Anjali, Sonal Chauhan played the female leads. The movie ended up as an average grosser and Balakrishna’s performance in the movie has been well praised in the movie. His characterization along with the stylish make-over of the movie is said to be the major highlight of the film. Sriwass along with Eros International produced the movie which released for Sankranthi this year. Balakrishna won during the last Assembly elections and he has been elected as MLA from Hindupur, Ananthapur. He has been balancing both his political activities along with his movie schedules and he has been spending time for both of them. He has been active in political activities of Hindupur and Balakrishna has taken special care on the development of his constituency. With not many engagements now, he has been attending various award events along with audio launches along with political activities. The latest news is that he has been the chief guest of Nara Rohit’s Savithri which took place on March 4th in Hyderabad. 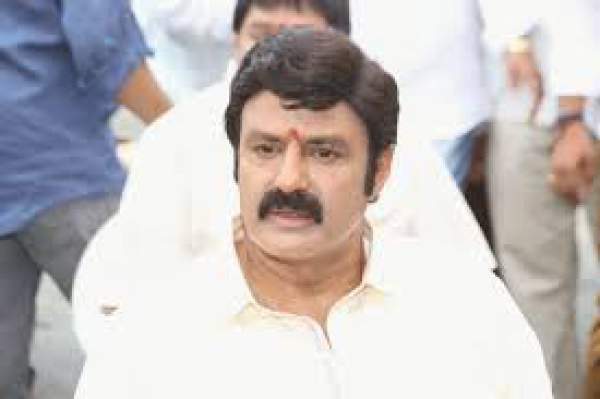 Balakrishna launched the audio of the film and the movie has been directed by Pavan Sadineni. Nara Rohit and Nanditha played the lead roles in the movie and Balakrishna happened to speak many controversial dialogues during the audio launch. Speaking on this he revealed saying “Ammayilu ante muddu pettali ledante kadupu cheyali” which created huge sensation. These dialogues created huge sensation and Balayya has been criticized all over the film circles along with the political circles. After facing the heat, on the eve of Women’s Day he congratulated all the women and he revealed that he has immense respect for women across the globe. He also reminded that he has never been into controversy for insulting or harassing women in his career.